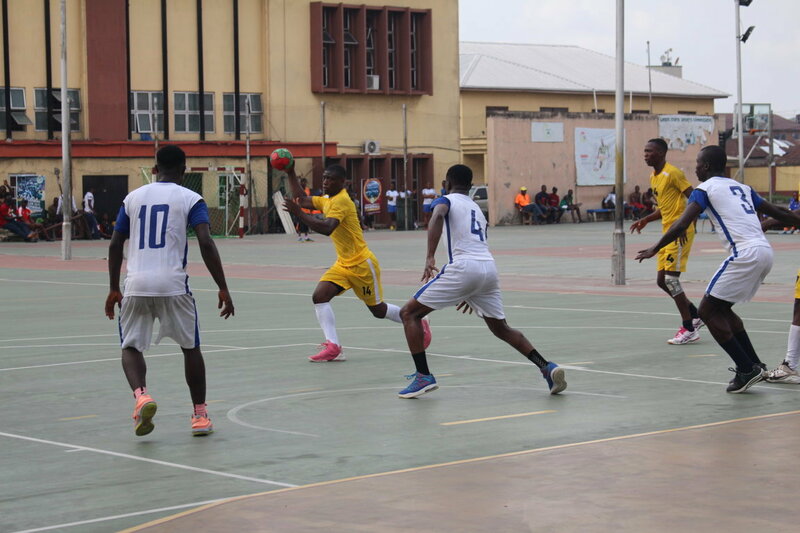 The National U18 and U21 Handball Championships continued on Thursday, 21 March 2019 with the Lagos U21 male team moving top of the standings on six points following a 33-28 defeat of FCT at the Rowe Sports Park, Yaba, Lagos. Kwara beat Nasarawa 54-37 to move level with Lagos on six points although an inferior goals difference means they stay one place below the Lagosians in the U21 Male Category. Bayelsa are tied with the FCT on four points albeit with a lesser goals difference after they saw off Future Pro 50-31. In the U21 Female category, Kwara scored a Walk Over victory over Future Pro who forfeited the match because they had less than the required number of players needed to start the match. Kwara were awarded a 10-0 victory and now have six points at the top of the standings. Mind Scope beat Kogi 33-19 to move top of the U18 Female Category standings on four points while in the male category, Lagos top the standings after a 34-29 victory over Future Pro. Day six fixtures sees Lagos tackle the FCT in the U21 female category while FCT battle Nasarawa and Kwara take on Future Pro in the U21 male category.